If you are based outside the US, there is a good chance you are frustrated by the dreaded Netflix proxy error. Here we explain what it is, how it can be bypassed with a VPN and which VPNs are currently working to this end. Netflix describes a proxy as any unblocking service being used to circumvent its geographical restrictions. The infamous Netflix proxy detected message occurs whenever Netflix detects a user trying to stream through the use of a VPN. How Netflix knows I’m using a proxy? Netflix is known to use GeoIP databases, collecting IP address information on a mass scale. When you connect to Netflix, your IP address is run against a database to determine which country or city it belongs to, and whether it is a known proxy/VPN address. If it matches the blacklisted IPs in the database, it means you are connecting through a VPN. Usually, Netflix blocks IPs when a large number of users are connecting from the same IP address. This paves the way for such IP’s to be blacklisted, ultimately leading up to even the VPNs getting blacklisted. There are three different kinds of proxy services that are used to unblock Netflix. Each has its own advantages and disadvantages, however, a VPN happens to be the most effective and acclaimed option among the Netflix users. A proxy server is an ordinary server through which internet traffic can be rerouted before it reaches the Netflix servers. A proxy server changes your IP address and hence allows you to access Netflix. However, there are a few drawbacks to using a proxy server. Most of the proxy servers happen to be free and run by individuals. This means that, they can prove to be unstable, unreliable and even malicious in most cases. Proxy servers also tend to be incredibly slow which is why finding one that offers good speeds for streaming in HD quality can prove to be difficult. You can also go for the paid proxy servers, however, they still have fewer features and less security than what a VPN would have to offer. Smart DNS is another kind of proxy service tailored for streaming online content. It effectively works as a pared-back VPN. However, there is no encryption included when you talk about Smart DNS, as it only redirects relevant traffic rather than encrypting all of your internet data. This means that the connection speeds tend to be a bit higher than that offered by a VPN. 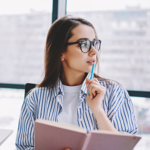 However, a DNS does not have the essential security features that you would be needing to secure your internet connection and avoid a DMCA notice or one from your Internet Service Provider. What makes a VPN the best option for making the Netflix proxy error go away and unblocking Netflix? Both Smart DNS and proxies have their separate fan bases. However, the experts agree that the best tool, however, remains to be a VPN, since they do not just offer server networks around the world that act as a proxy but they also encrypt all of the data being transmitted between one’s device and the VPN server. This effectively hides everything you are doing online from any prying eyes including your ISP, the government and of course, Netflix. This means details of whatever you are watching on Netflix along with other online activities including browsing remain private and inaccessible. The only downside is that since a VPN is encrypting your data, your internet connection may slow down a bit. However, the best VPN services such as Ivacy VPN offer super-fast servers thereby ensuring that there is no slowness when you are streaming and you can seamlessly stream in the highest possible 4K quality on Netflix. 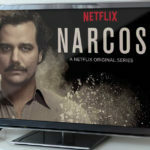 With the organized and consistent crackdown on proxies and unblockers initiated by Netflix, which can have legal repercussions for the end users, it would be a good idea to go for a VPN considering the extra security and privacy being offered by them, constituting a good investment on the user’s part. Ivacy VPN is one of the few VPNs that can easily fix the proxy error, due to a number of reasons. It is not only optimal for making intercontinental connections but happens to be the winner of the fastest VPN award by BestVPN.com, with speeds none of its competitors can match. Ivacy is one of the few VPNs able to continuously evade Netflix’s rigid restrictions. Additionally, it has a strict No Logs Policy which allows simultaneous connections to be established which means that you are enabled to have an optimum streaming experience, free of worries. Ivacy makes switching between servers incredibly easy, making you wait no less than a few seconds. Ivacy also offers a large network of servers, strategically positioned around the globe, which means that you can unblock the USA from any part of the world, particularly the three countries that have the most titles; Australia, Canada, and the UK. In all cases, Ivacy VPN happens to be your best bet. 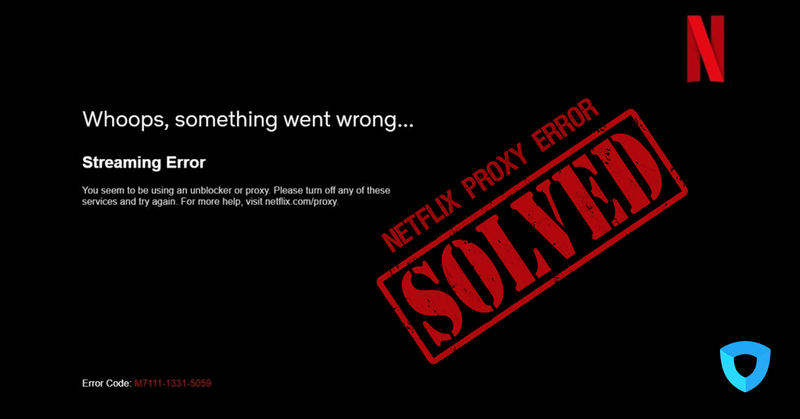 Here are five steps to fix the Netflix Proxy Error. Sign up with a reliable and trustworthy Netflix VPN provider such as Ivacy. Go the Netflix app or launch it on the official website. Congrats! You have bypassed the Netflix proxy error now and can access American Netflix again. Why do you need to find the best Netflix VPN? The foremost reason why you essentially need a good Netflix VPN is, the unblocking of Netflix USA unless of course, you happen to be based in the USA. 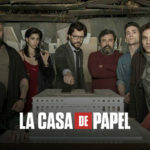 The reason being the fact that Netflix has significant geographical restrictions in place; reason being the company’s deals with content producers that prohibit it from showing all content in all regions. Therefore, Netflix is bound by legal agreements to regionally restrict content’s availability on its platform, or else risk getting sued. Since the US’ catalog is the biggest one, holding most titles, the majority of user’s miss out on the best Netflix has to offer. Netflix has developed the world’s best VPN detection system to identify and block VPNs so that users are unable to access the content belonging to a region other than the one they are situated in. Selecting the best VPN can be a bit of a challenge considering the myriad of different VPN apps on offer with many amazing features, offers, and packages. However, there is a certain criteria that a VPN needs to meet before you make the purchase decision or else you will end up losing your money. A well-reputed Internet provider with an established track record of unblocking the various geo-restricted content such as that of Hulu, Netflix and Amazon prime. Has complete functionality and adaptability across all platforms and devices such as Android, iOS, PS4, Chromecast, and Firestick. It doesn’t matter which VPN you chose to go for in the end, so long as you keep this criteria into consideration and act accordingly. But in any case, do know that there is no other reliable way for you to unblock Netflix, except for the use of a VPN.